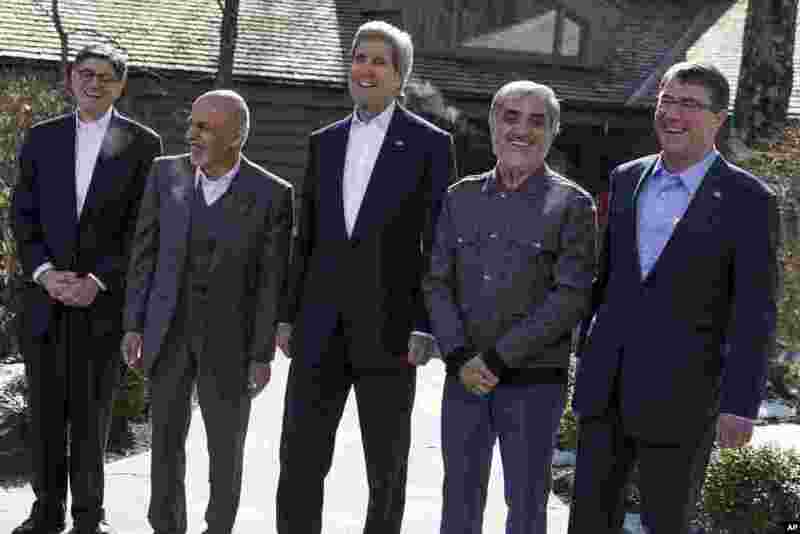 1 Secretary of State John Kerry, center, arrives at the Camp David Presidential retreat in Maryland with, from left, Treasury Secretary Jacob Lew, Afghanistan's President Ashraf Ghani, Kerry, Afghanistan's Chief Executive Abdullah Abdullah, and Defense Secretary Ashton Carter. 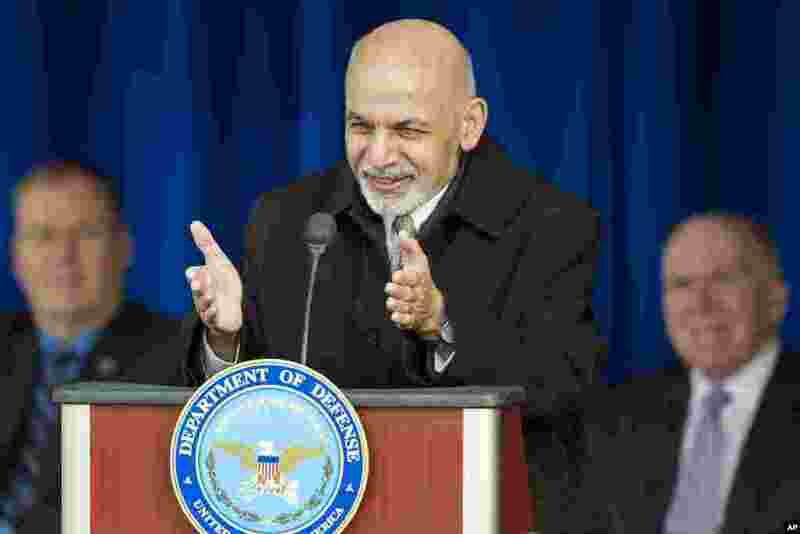 2 Afghan President Ashraf Ghani speaks at the Pentagon, thanking U.S. troops and taxpayers for their sacrifices in nearly 14 years of war, March 23, 2015. 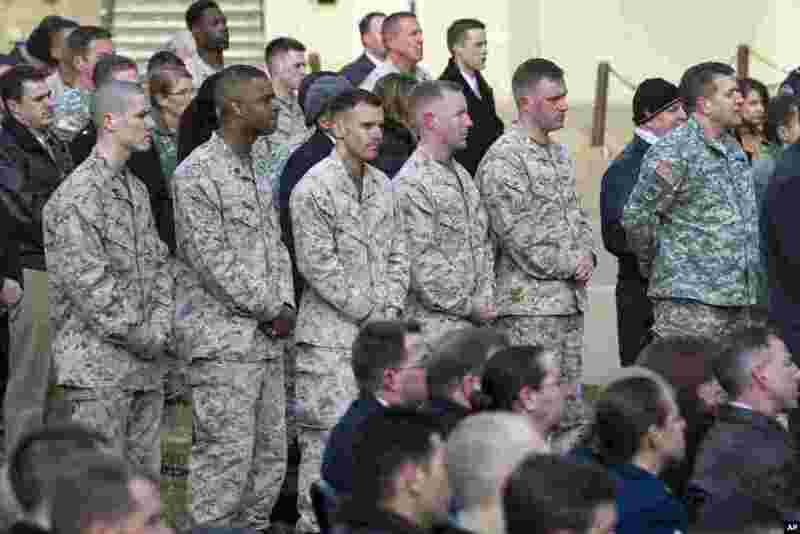 3 Military service members listen as Defense Secretary Ashton Carter and Afghan President Ashraf Ghani speak at the Pentagon, March 23, 2015. 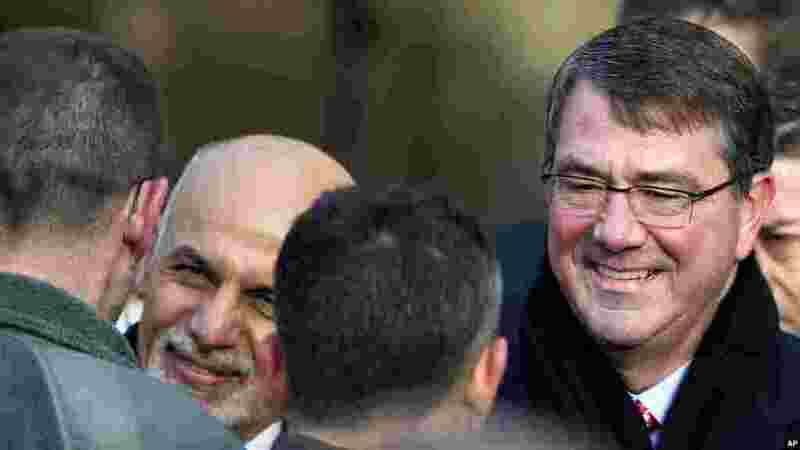 4 Defense Secretary Ashton Carter (right) and Afghanistan's President Ashraf Ghani shake hands with service members after speaking at the Pentagon, March 23, 2015.